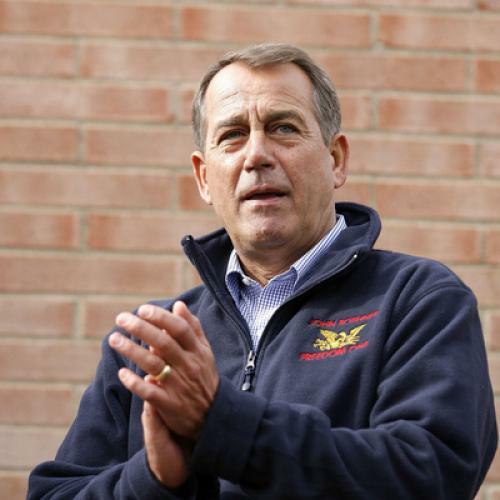 -- Jonathan Chait picks out the biggest difference between 2008 and 2010: young voters and explains why Boehner started crying during his victory speech. -- Jonathan Cohn marks the end of the Nancy Pelosi era and asks, "Why is Obama so calm?" -- Eliza Gray shows us how "fat fingers" hampered e-voters, blows the lid off a Texas voter-intimidation scheme, and takes us inside a dirty Republican voicemail campaign. -- Alexandra Gutierrez profiles the crazy Senate race in Alaska and updates us on Scott McAdams and Joe Miller's last-ditch campaign strategies. -- Ed Kilgore explains how the Republicans did it, why Americans say no to pot and gay marriage, yes to long state names, previews Democratic weakness in the House, and puts himself on "Mama Grizzly" watch. -- It looks like voters who blame banks for the recession ... voted for the GOP? -- Daniel Strauss introduces you to the "Republicrats." Keep up with all of our midterm news on Jonathan Chait and Jonathan Cohn's blogs.